Ian Oliver (right) passed away today, February 7. Ian served the club valiantly for over half a century - as a player way back in the 1950s, a coach, physio, acting manager and groundsman. 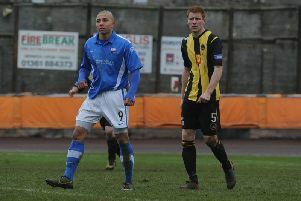 Berwick Chairman Len Eyre said this afternoon “Everyone at this club is devastated at hearing this news today. "Our thoughts are obviously with Muriel and all the family. 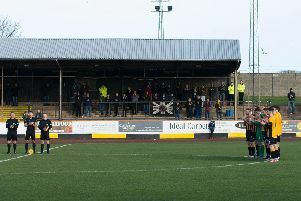 Ian was such a popular figure not just here at Berwick but throughout football. Former Berwick Rangers manager Robbie Horn commented on social media, following the announcement, paying tribute to Ian. He said: "Incredibly sad news. A club legend and huge loss. Always there for me, had the unbelievable ability to pick you up when you were down and didn't know he was doing it! "Maybe gone but never forgotten."